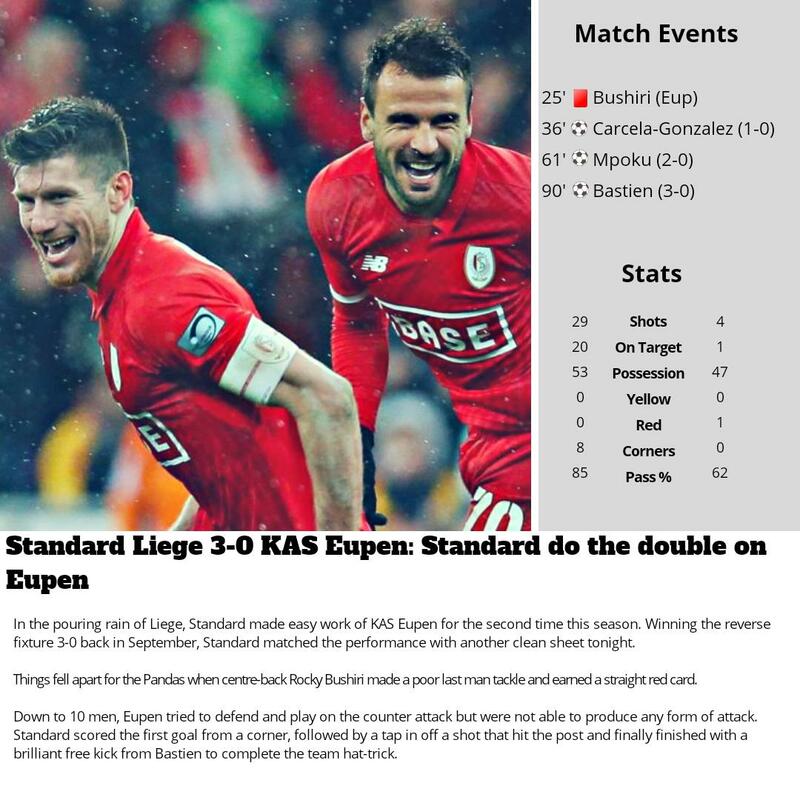 Interesting club and some good results in the last couple of games. 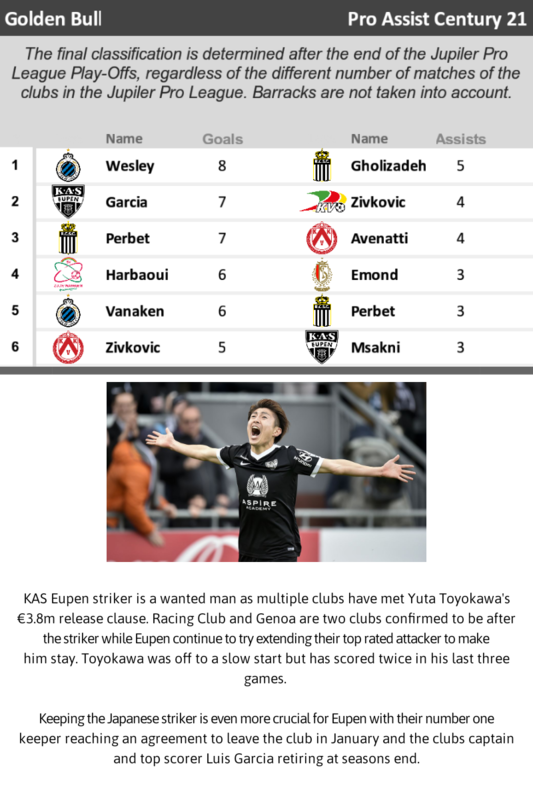 I think we should hold a contest for best and funniest pronunciation of the name Eupen. García is the unexpected hero so far but at 37 years of age I am not sure his stamina will keep up all season. Castro-Montes only played one game but I was really enjoying how he played and was planning to move him ahead of Molina. Like you said, his loss is a big blow. Ha I did not know either. Makes the end of the season much more exciting though. Yea I wanted to start somewhere different and see where it goes. The competition in the league isn't great and that is noticeable. The oppostion has a few good chances each game due to my poor defense but rarely hit the target. Haha that would be good. I know I do not know how to properly pronounce it so I say UPEN. Not sure if that is correct. 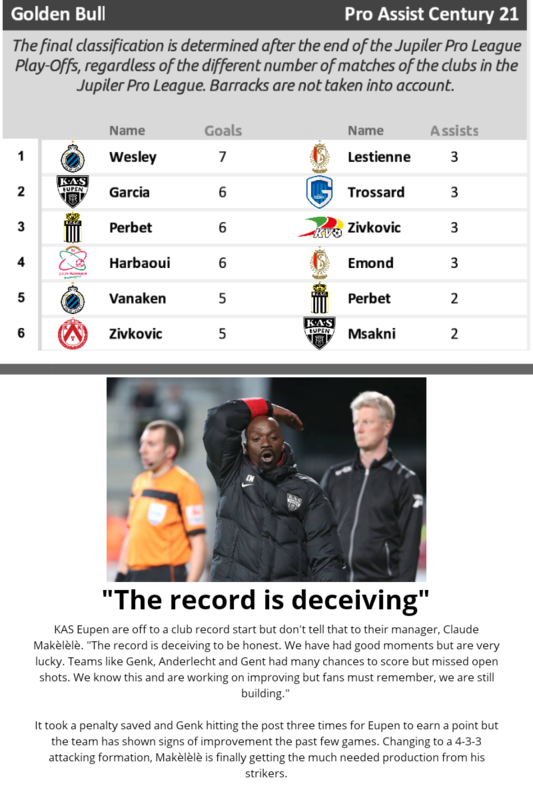 Interesting to learn more about the Belgian league because I had no idea they did that with the top 6 either! Completely agree. I have been fortunate so far with poor finishing by opponents. But that's what happens in smaller leagues. The hot start continues. 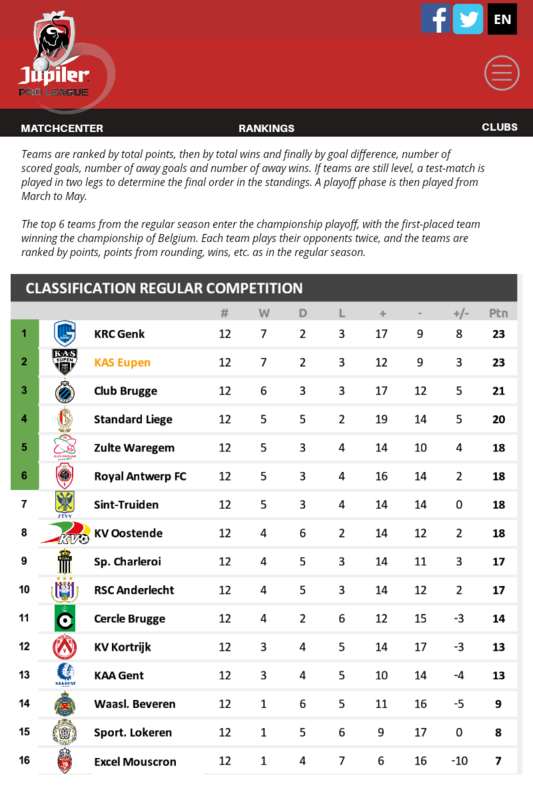 Great draw against Genk and getting past a struggling anderlecht team could be huge later in the year. Very good results against direct rivals. 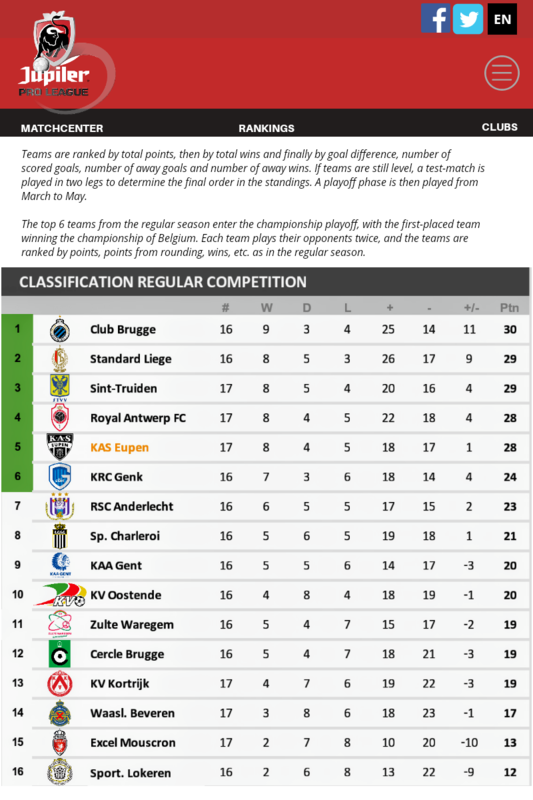 Surprised to see Anderlecht so down, although there are 10 teams in 6 points. 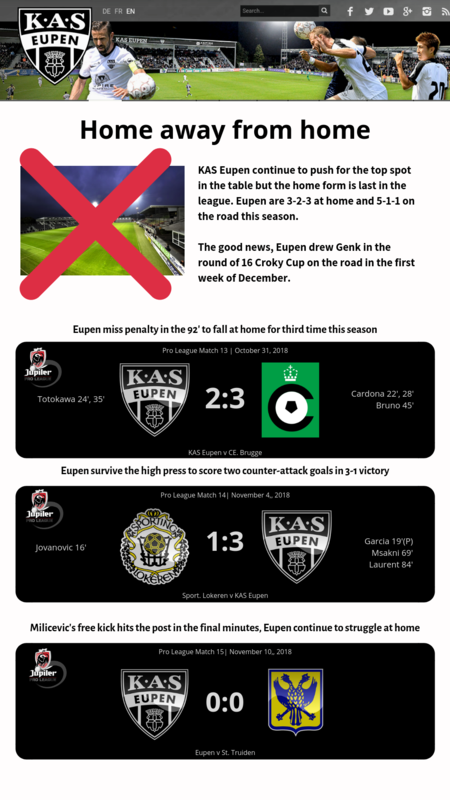 One question, in real life, how is Eupen doing? 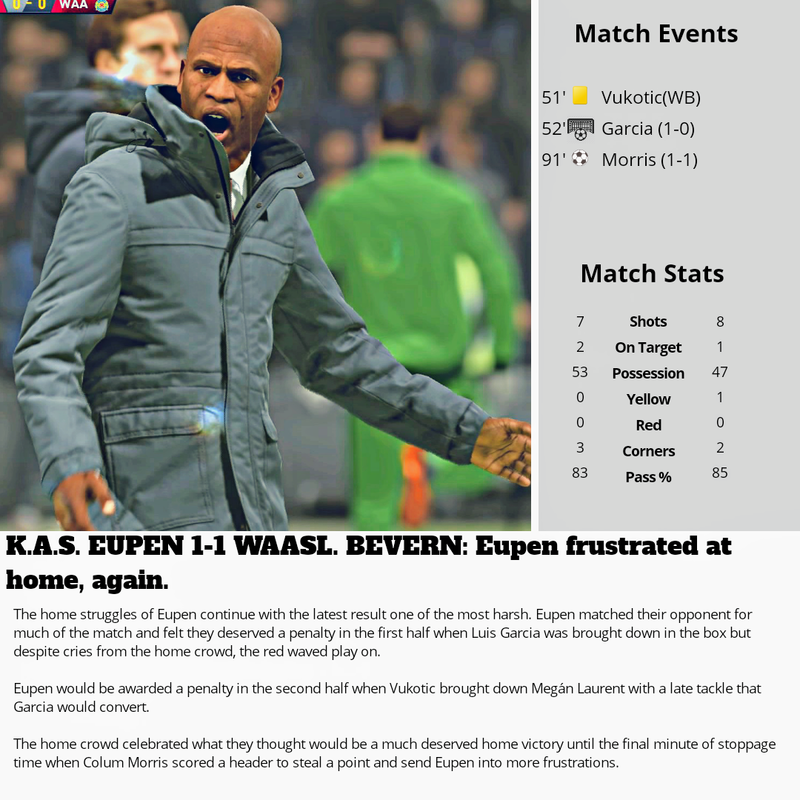 The Genk match was one of the best matches we have played. Only around 30% possession but somehow defended well enough for the point. Anderlecht I thought would be a lot better than they showed. But like you said, the table is close. 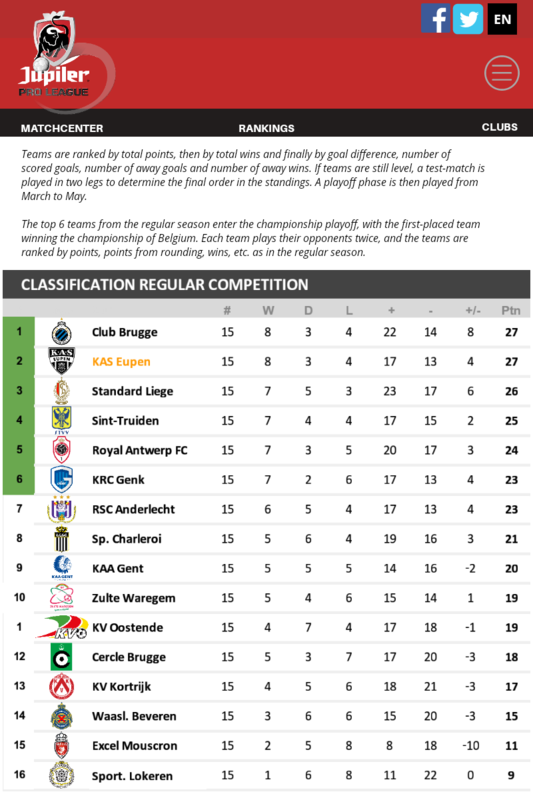 In real life, Eupen are 10th, 9 points off a playoff position. Midtable is a very good position for the club so I think they would be happy fighting for the 6-10 positions right now. Every match it is obvious that we do not have the talent like our opponents do but we have been grinding out results. I play on default ultimate so I expected it to be harder but that might be because the competition I am used to in FIFA is Premier League or LaLiga so players are much better. That is true. Luck is important to win trophies and I will gladly take the luck we have been given. I agree, winning at home is going to be important if we make the top playoff and are against the top 5 teams every match. 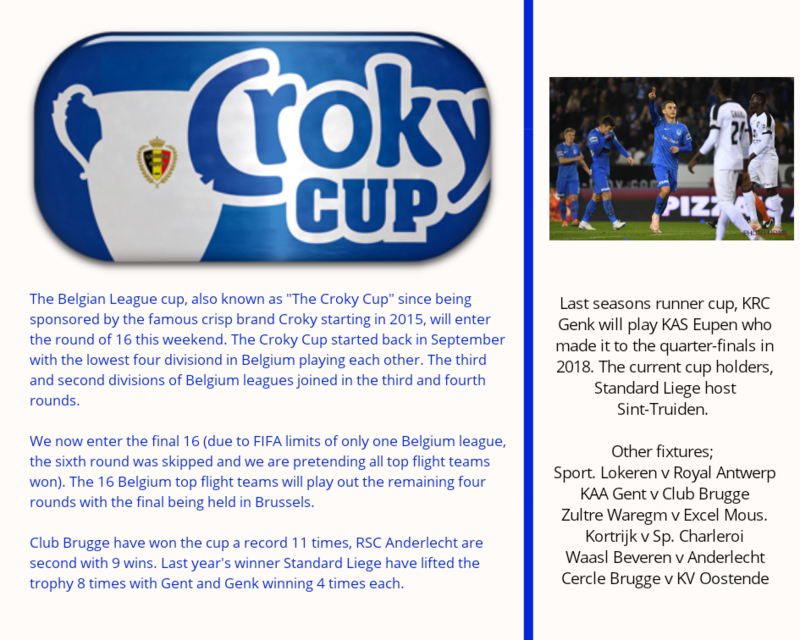 The Croky Cup..... What a name for a domestic cup. Hope you can improve the home form. Irregular results, especially at home, but everything is so tight on top that positions aren't very important now. 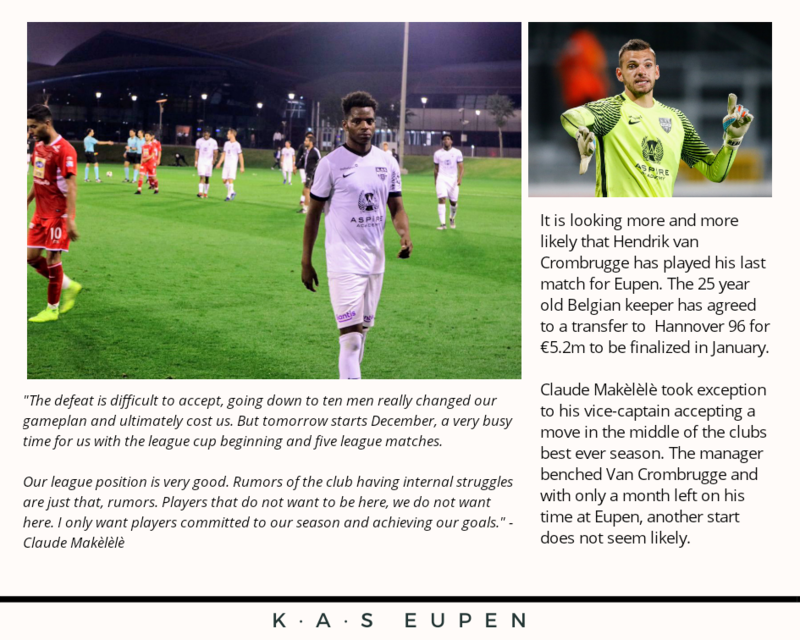 Still you can expect more from Eupen against teams like Beveren. Crocky Cup... I love it too. Yes, 1-5 are all within 2 points which makes every match important. No idea what is going on at home. The tactics are the same as on the road and the matches are just as competitive. 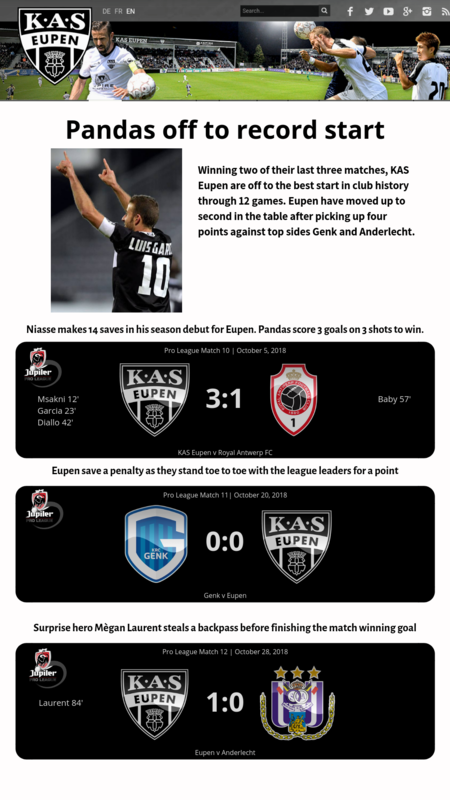 It comes down to the opponent finishing their chances at home but missing in the away matches. 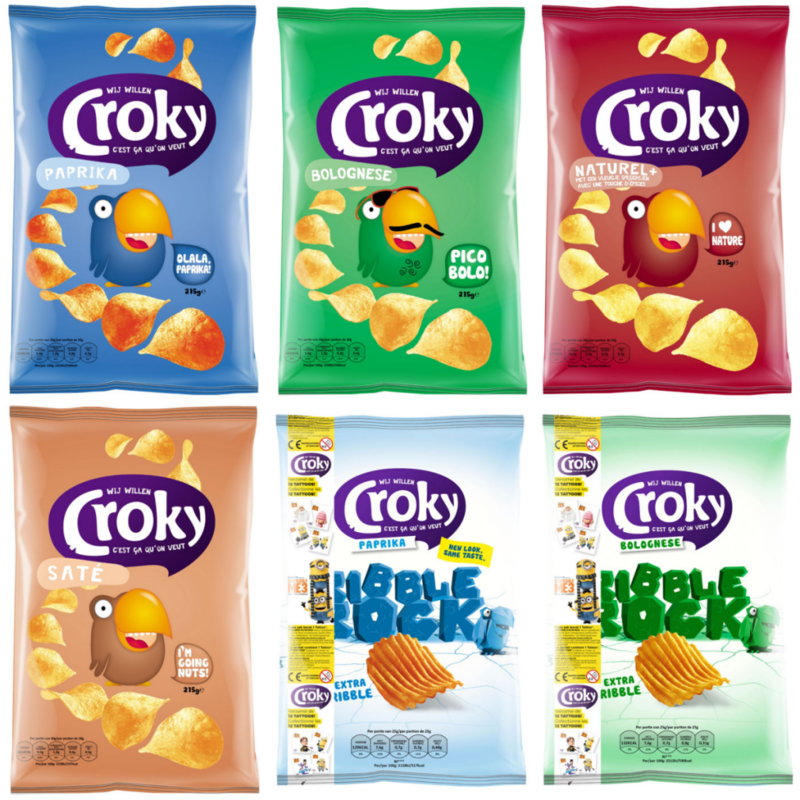 Croky Cup is a great name. @db1512, I have never heard of the name but from what I read it is a crisp brand. Here are some flavors to excite. That bird on the chips is terrifying 😂 couple of tough games but still sitting comfortably in the top 6.